BROKEN HEART SONGS – Healing for wounded hearts. 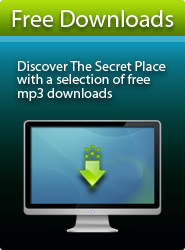 Discover The Secret Place – intimate songs of the heart. Is your heart heavy? You need to remember that someone cares for you. Let this song speak to you and bring healing. This greeting card is specially designed to bring encouragement and comfort to those who are grieving. The lyrics of the song beautifully convey the message that you care and are thinking of them in their time of loss. Download this song for a donation of any amount. 42 mp3s from 6 albums available. Bonus chord charts and sheet music. "I was going through a rough time and when I listened to it my heart was so comforted and ministered to." "Probably the most beautiful music I have heard. Thank you." "Your music is definitely inspired. I am so moved whenever I listen to it... You have helped me find help in my time of need."